Teenagers lead busy lives today, participating in sports, club activities, jobs and spending time with friends and family, on top of school work. 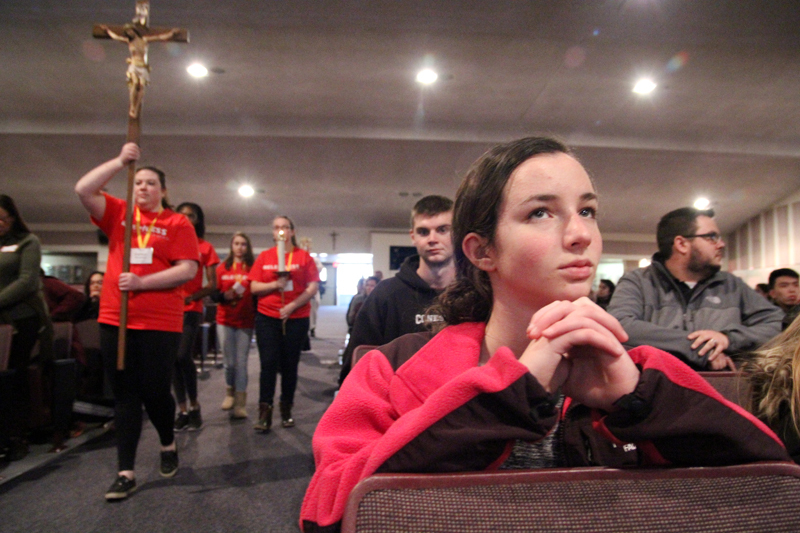 So the organizers of the fourth annual Generation Phaith rally were pleased that 200 teens in grades eight to 12 came out to encounter Jesus Christ on Saturday, Feb. 27 at Cardinal O’Hara High School. 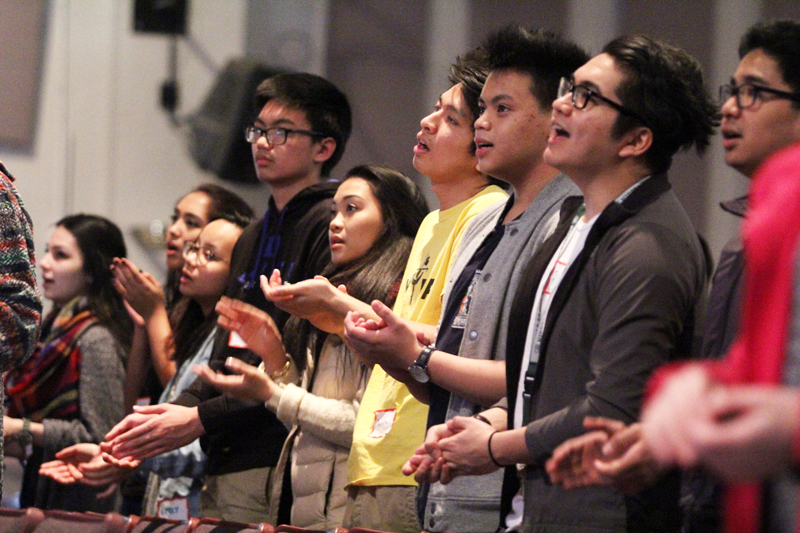 Many of the participants came with their parish youth group. YYAM supports such groups all year long, as well as students in parishes, schools and homeschool programs. At the rally teens circulated through the building all day getting involved in workshops and exhibits, listening to music, learning about their faith through talks, having opportunities for confessions and Eucharistic adoration with a holy hour led by Father Stephen DeLacy, and taking time to share their love of the Lord with one another. In the main auditorium of the high school, the Bosco Boys — a hip hop duo of Salesian seminarians — and Teresa Peterson played sets of live music. Riordan said that for the rally this year, held for the first time at Cardinal O’Hara, the exhibits and attractions were different. 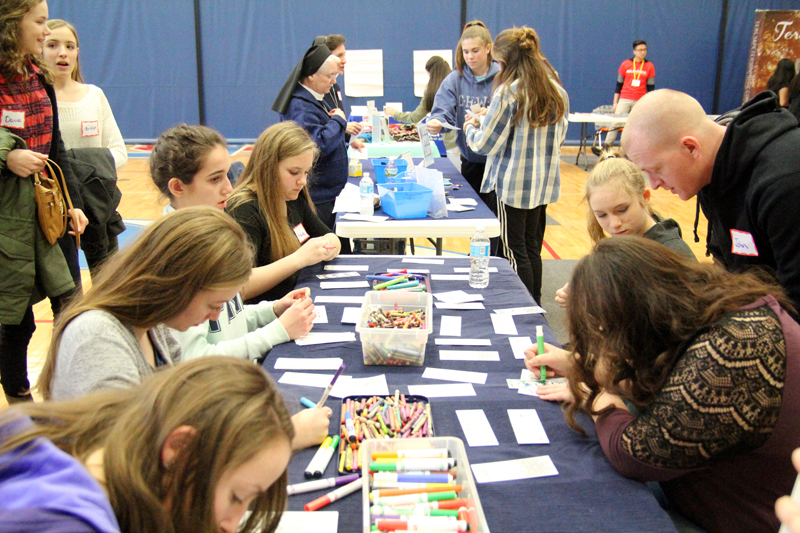 In the past teens were offered products for sale, but this year was about learning the works of mercy. 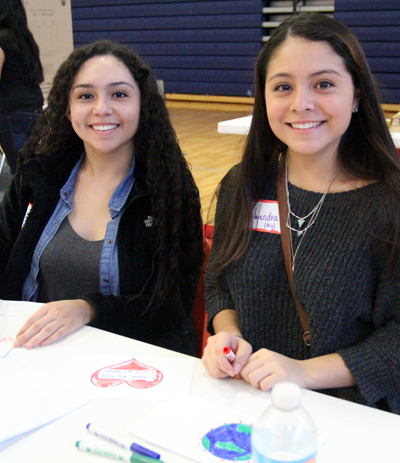 For instance, the students could take part in the “Fill a Bag, Fill a Heart” activity in which they created decorated bags filled with breakfast items and a personalized written note to be given to the homeless or people in need. 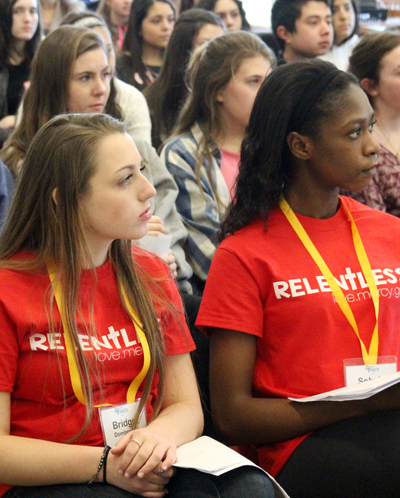 There were also seminarians inviting teens to join a fun game of basketball in the gymnasium, confessions heard in classrooms, a lunch break and several workshops to choose from emphasizing “relentless” love, grace and mercy, which was the theme of the day. Riordan and many other teens like Tran were excited to continue to inform, motivate and inspire the youth through Generation Phaith. With future plans of celebrating World Youth Day from July 21 to Aug. 3 of this year in Poland, YYAM provides more information on the website, PhillyCatholicYYAM.org.